INTRO: What happens when designers shift their focus from satisfying consumer desires, to facilitating new social possibilities? In recent design history, different labels have popped up to describe design research practices that engage with social issues. These include participatory design, service design, transformative design, metadesign and social design. This article explores the notion of socially responsive design, a term coined by design researchers Adam Thorpe and Lorraine Gamman based in the Design Against Crime Research Centre, London, UK. It describes design that makes a social impact, is driven by social issues and delivers social change. 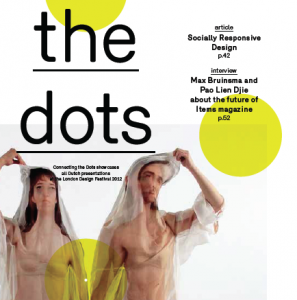 Design researchers Hannah Jones and Anette Lundebye attempt to â€˜connect the dotsâ€™ between a range of socially responsive design approaches taking place in the UK, Netherlands and Norway. They set out to interview six design experts from their network to discover how they define socially responsive design, what it feels like to be involved in this practice; and how itâ€™s likely to impact on design in the future. CD: What is Socially Responsive Design? We kicked off our interviews by asking our different design researchers, educators and practitioners if they consider themselves as socially responsive designers and how they understand this term. MvH: I see an increasing interest in socially responsive design within the context of experience-driven design. In fact, I believe they are interdependent and they share the concept of emotion. Emotions are the drivers behind (social) behaviour as well as behind the experiences we the dots #545socially responsive designhave in general. Something that is becoming more important in experience design is the impact of products on peopleâ€™s general health, well-being and happiness. In the past decade or so, the Internet and developments in mobile technology have completely changed our perspectives of the world and our social environment. Take the recent events in the Middle East for example. It made us feel closer to the people actually fighting for change far, far away and made us feel a shared responsibility. CD: Can you give us a practical example of socially responsive design?Each of our experts were asked to come up with examples of socially responsive design from their own practice or inspiring examples from the work of others. CD: What does it feel like to participate in socially responsive design? We wanted to understand from our interviewees how being involved in socially responsive design is different to traditional design in terms of the emotional feedback from the process. 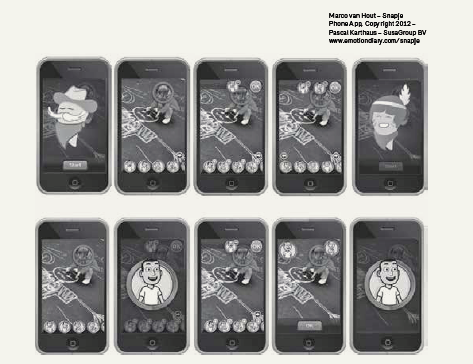 CD: Can you give us a scenario for socially responsive design in 2020? What kind of futures do our interviews predict for this approach to design? People are increasingly looking for products and services that fulfil life goals that go beyond material wealth and are more valuable for social cohesion, health and general well-being. I believe in the future a lot of designers will want to be part of a group of change-makers. We wonâ€™t be designing anymore for the sake of designing, we will only be designing for a purpose, such as meeting real needs. Between now and 2020, it is designâ€™s time to shine. I think socially responsive design and related approaches will have to be leading in this movement. Luckily, I see lots of signals that illustrate exactly this.